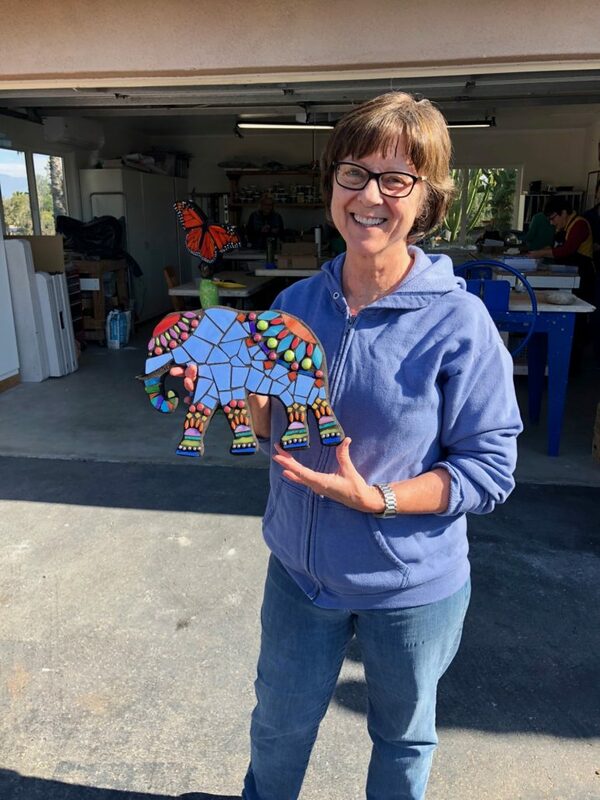 There are so many creative projects in process in the studio – a variety of wall pieces, mandalas, garden art pieces, a large “Tree of Life”, and totems. On Tuesdays, you may choose your own project or, as always, I have ideas for projects ready for you if you prefer. 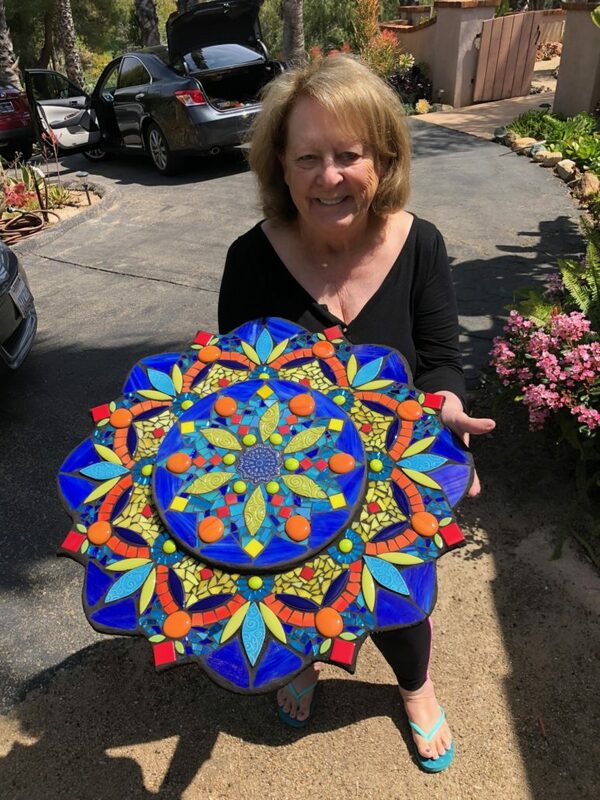 Not only will you leave with a wealth of information, but you will also feel refreshed and renewed as you take tiny pieces and turn them into something beautiful. 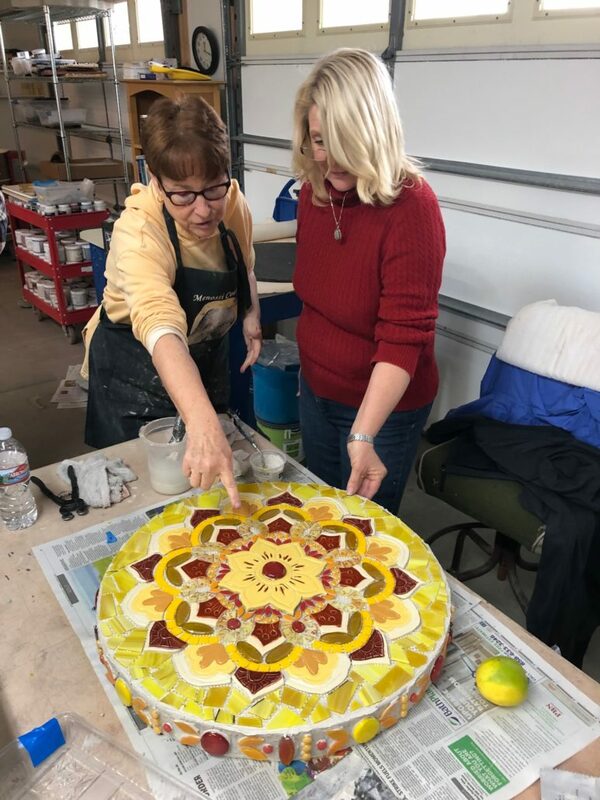 Mosaic has been found to be very therapeutic for the body, mind and soul, is a great stress reliever, and students experience a deep sense of personal freedom and accomplishment in this process. The environment in the studio is very nurturing and there is a tremendous sense of comraderie that has developed that you can be a part of. 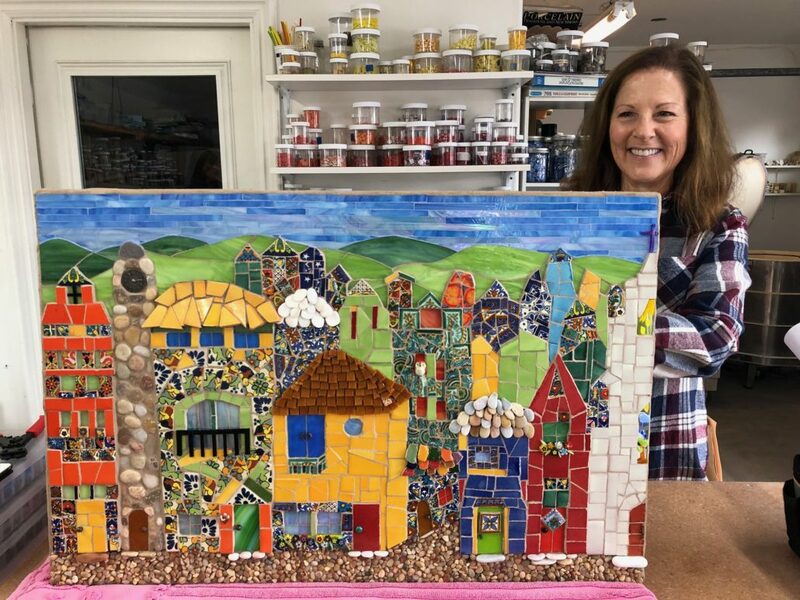 It is recommend that students start with a small basic project to learn the techniques that will enable you to establish the foundation on which you will be able to build your expertise as a mosaic artist for both fun or profit. Class sizes vary, but I always provide all students with plenty of personal time for one on one instruction. Email me – marsha@marsharafter.com, call, or text 530-277-5494 with questions. *The cost of $45.00 covers most materials. Occasionally there is an extra fee for hardware or large substrates. All tools needed are available here in the studio.